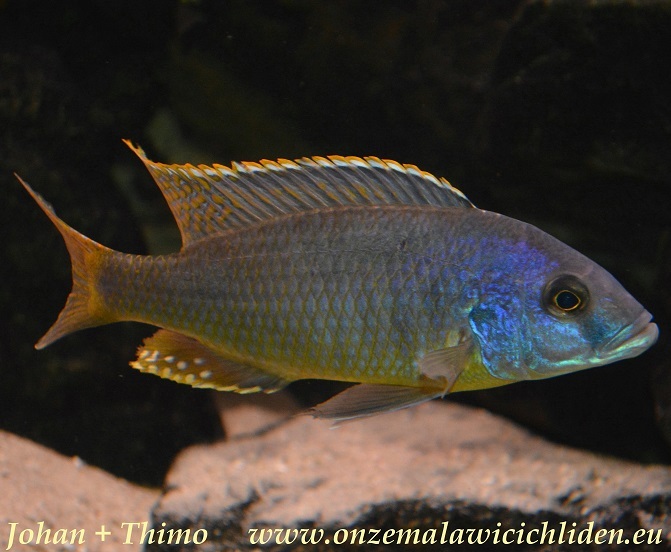 Mylochromis formosus is living in sandy environments, ususaly in the intermediate zones from rocks to sand. 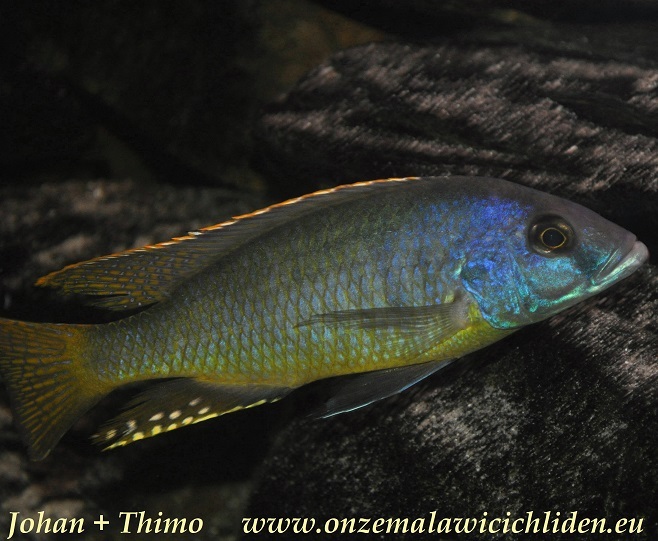 They can be found in entire Lake Malawi. 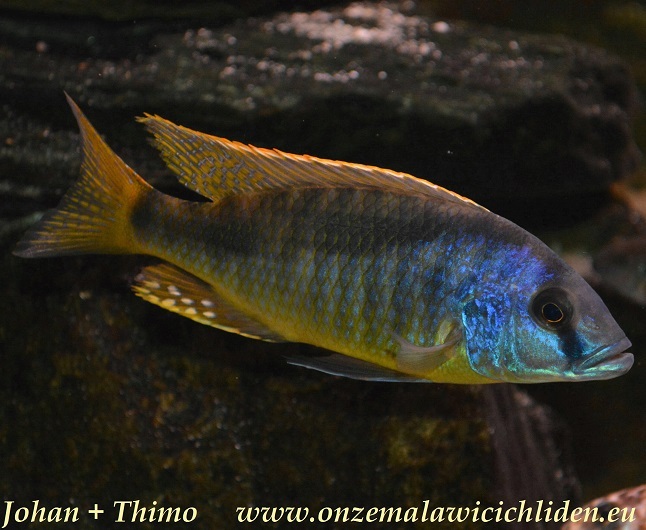 In an aquarium it is also necessary for them that there are some hiding places. They also need a lot of place to swim. 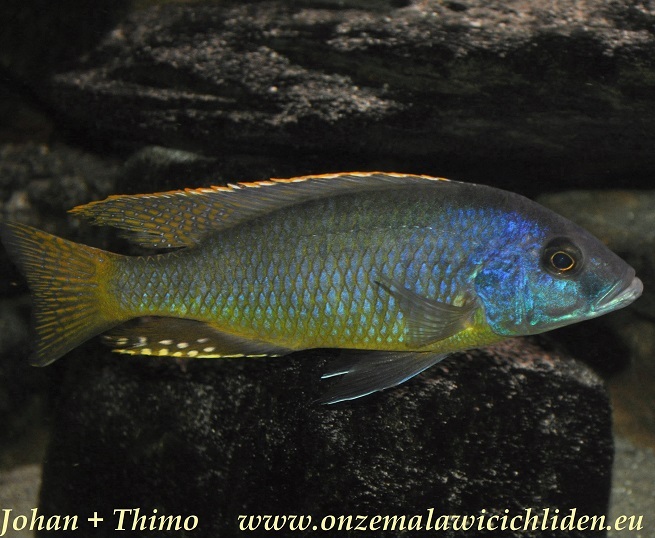 In the beginning of 2016 I bought a young pair of this species, then they were about 10-12 cm. 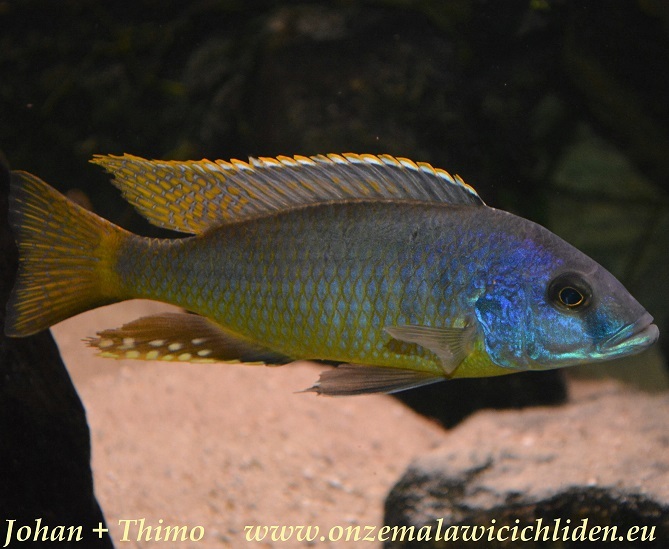 In this moment (mid- 2017) the male has grown to about 20 cm and his female is about 14 cm. They are showing themselves quite good in this tank. Up till now the male is very tolerant against his female, it seems like they are unaware of each other´s proximity. 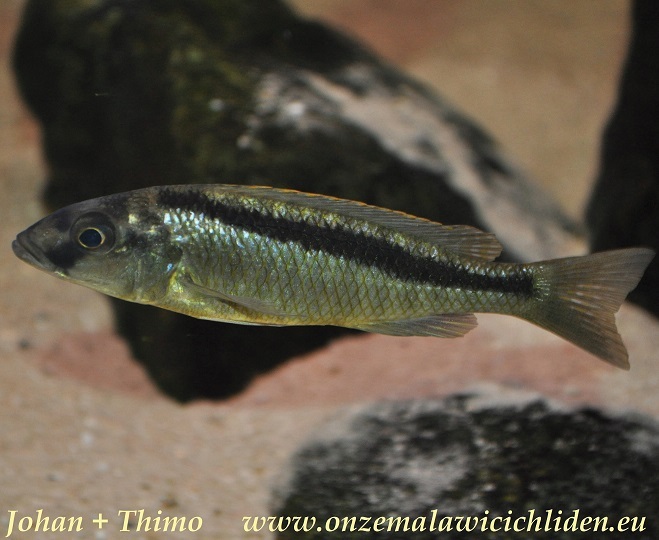 They are also very tolerant against the other inhabitants however they are being hunted sometimes by some other fish in this tank for example by the male of Protomels sp. 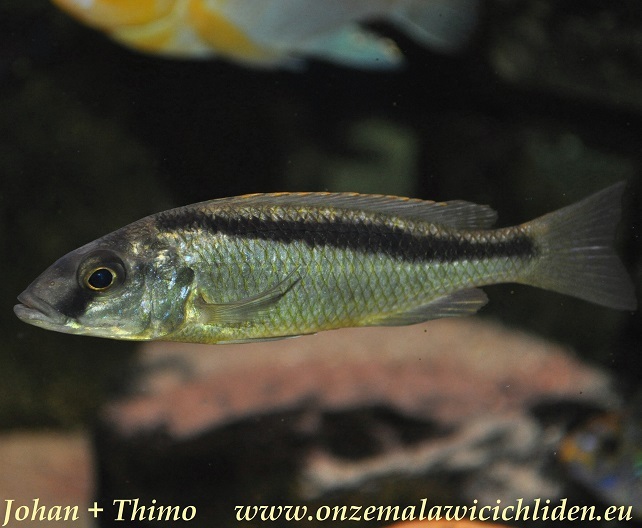 "hertae" and sometimes by the male of Metriaclima hajomaylandi which can be very dominant sometimes. 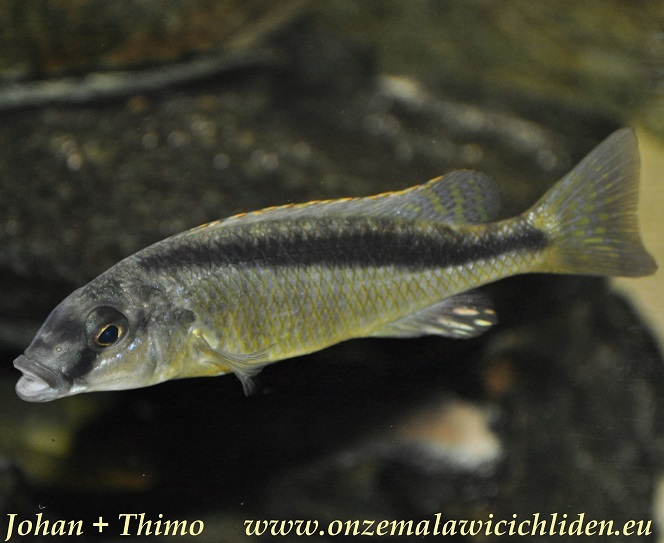 Mylochromis formosus is a predator which is mainly feeding itself with young mbuna´s in the lake. 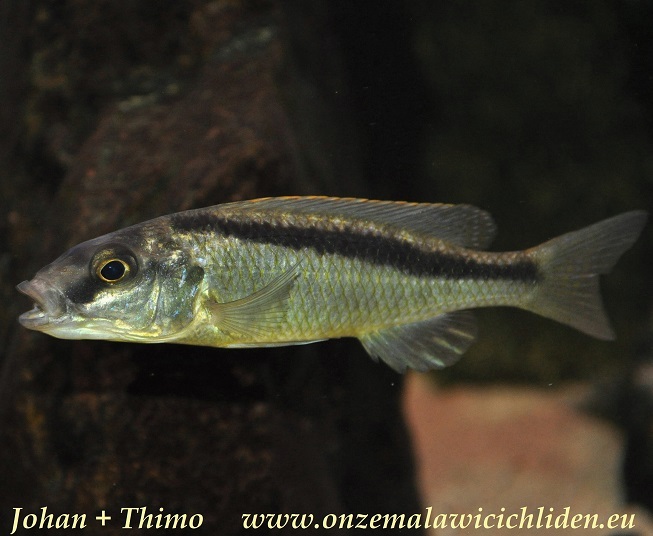 So we´re dealing here with a species which likes eating fish. 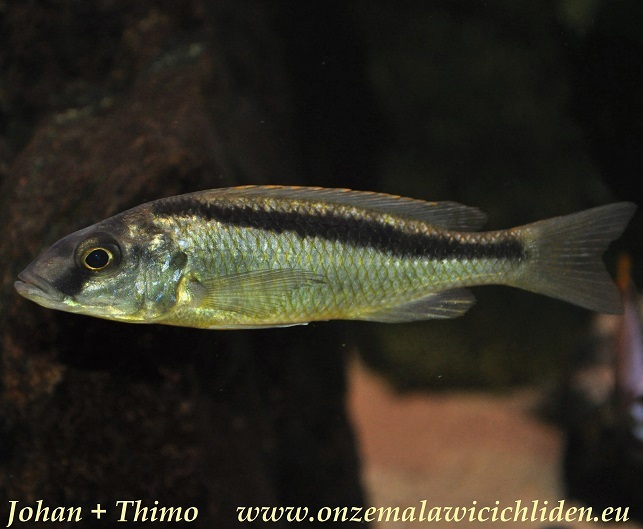 It´s important to offer him regularly such kind of food like living small fish, mysis, krill, artemia, shrimpmix and they eat a lot of young fish when we keep them with mbuna.